These pre-event promotions are no joke! 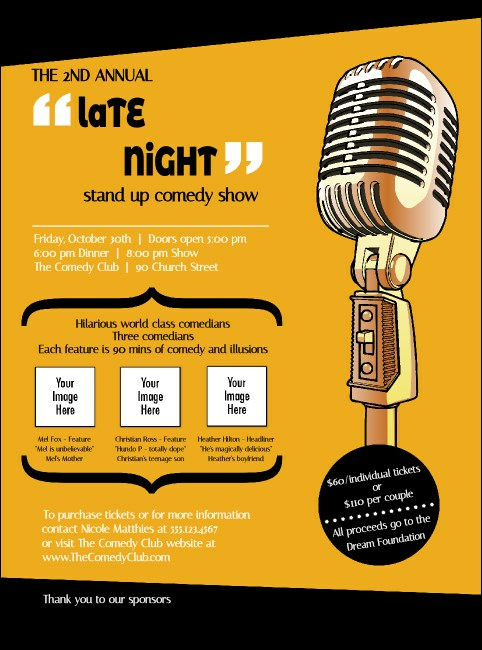 Print Comedy Retro Microphone Flyers and advertise your next event in advance. This Flyer template features a fun black and orange background design and a picture of an old-fashioned microphone along with space to upload three of your own images like sponsor logos or pictures of featured comedians. Put your promotions in the spotlight with TicketPrinting.com.